A Nigerian senator earns more in Salary than Barack Obama of the US and David Cameron of the UK. I’ll leave you to tell how much Nigerian president goes home with at the end of each month. 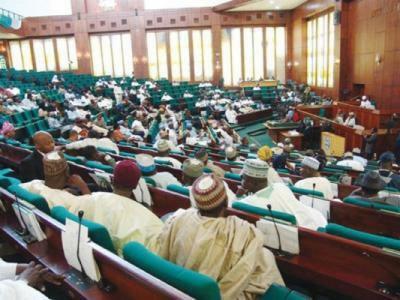 An Indian lawmaker must work for at least 49 years to earn the annual salary of a Nigerian senator. In the United States, while the minimum wage is $1,257 (N191, 667), a US lawmaker earns $15,080 (N2.3m) per month. In the United Kingdom, a lawmaker earns $8,686(N1.3m) monthly while the gross national minimum wage is $1,883 (N283, 333) per month. Also, Nigerian lawmakers earn higher than their counterparts in Sweden. With a monthly pay of $7,707 (N1.2m), a lawmaker in Sweden will need to work for over 12 years to equal what a Nigerian senator earn per annum. The president of the United States takes home an anual salary of $400,000 (N64.156,0m), including a $50,000 expense allowance making the president the highest paid public servant in the US. The $400,000 includes everything and $350,000 out of it is taxable. In addition to the regular and legitimate salaries and allowances of over N17 million ($113,333) and N14.99 million ($99,933) which senators and reps were collecting yearly and the irregular allowance of estacodes, duty tours etc, they were also collecting over N192m ($1.28m) and N140m ($0.93m) respectively in illicit quarterly allocation which is not provided for by RMAFC. Effectively, a Nigerian senator was taking home at least $1.40m ($1.28m quarterly allocations + $0.113m regular salaries and allowances) as against the $0.174m an American senator takes home hence a Nigeria senator earns at least 8 times as much as an American senator and more than 3 times the American president. In other words, a Federal Legislator in Nigeria is paid more than double what a Member of British Parliament earns per annum. Senate President David Mark alone takes N250 million quarterly or N83.33 million per month. Senate Deputy President Ike Ekweremadu gets N150 million per quarter or N50 million a month. What If President Jonathan Resigns?